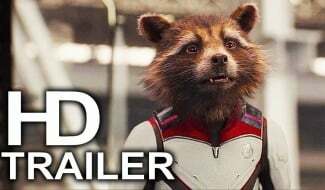 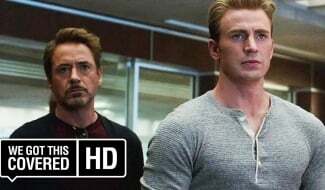 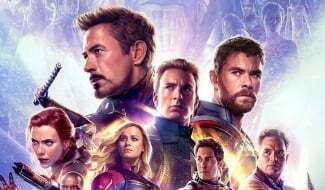 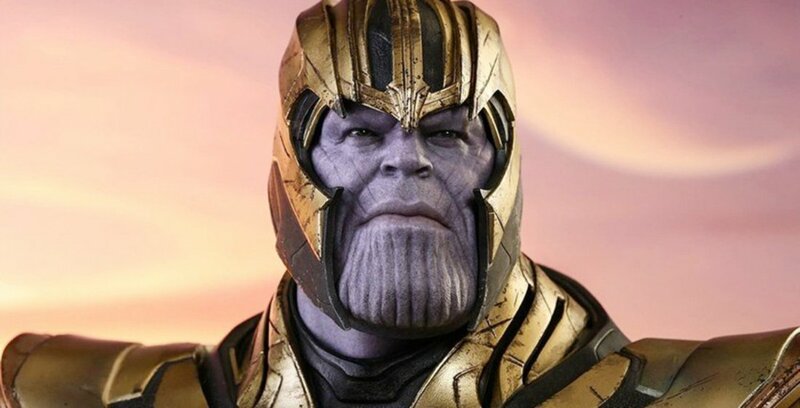 The few Avengers: Endgame trailers and promos we’ve had so far have given us a lot of footage of those heroes still standing after the Decimation, but one person who we haven’t seen much of just yet is their nemesis Thanos. 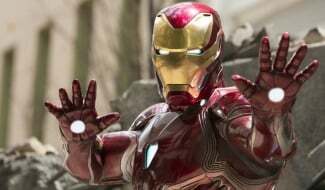 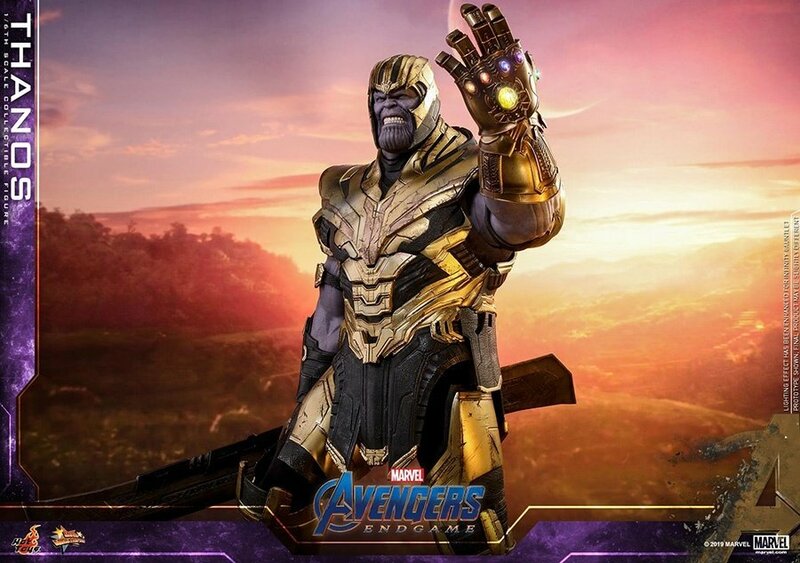 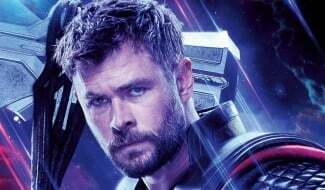 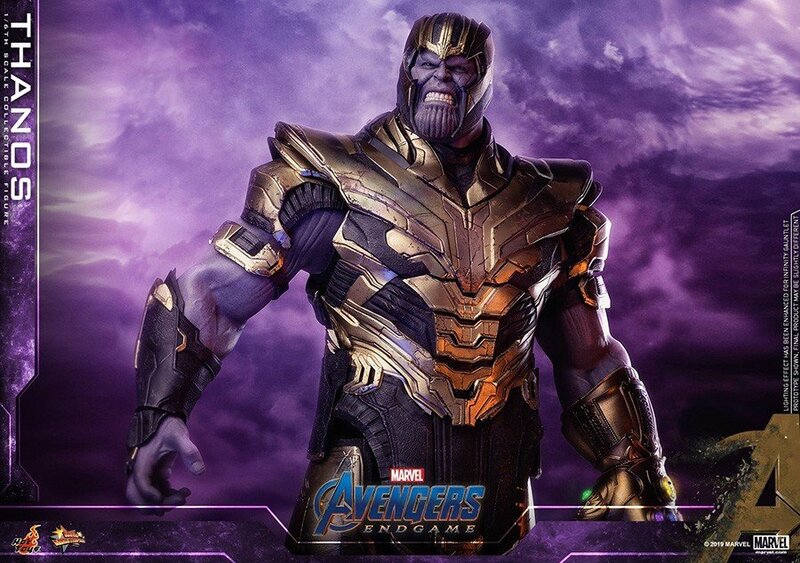 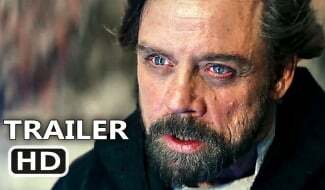 We did get our first official glimpse at the villain’s new appearance thanks to the cover of a recent issue of Empire a few weeks ago though and now, with the release of a number of new Endgame toys, we’re starting to form a better idea of what armor he’ll be donning in the film and which weapons he’ll be wielding. 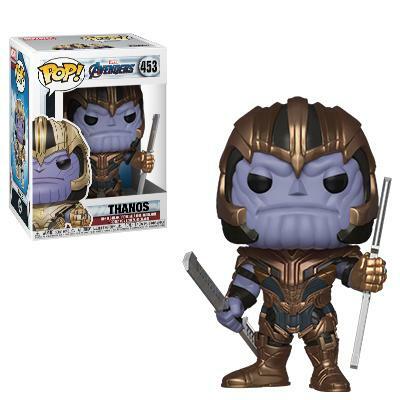 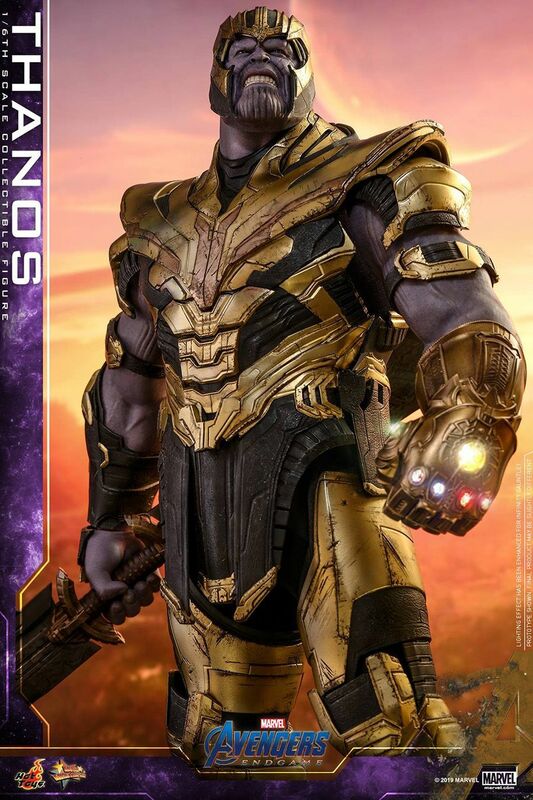 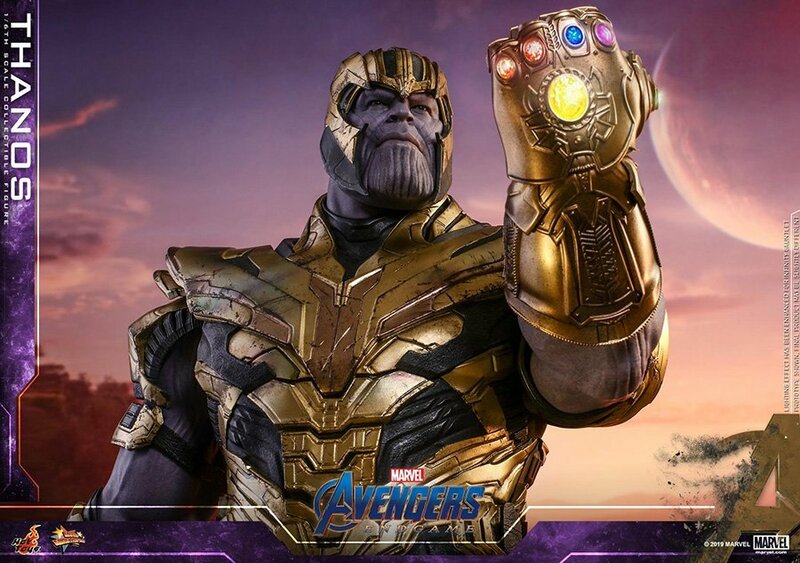 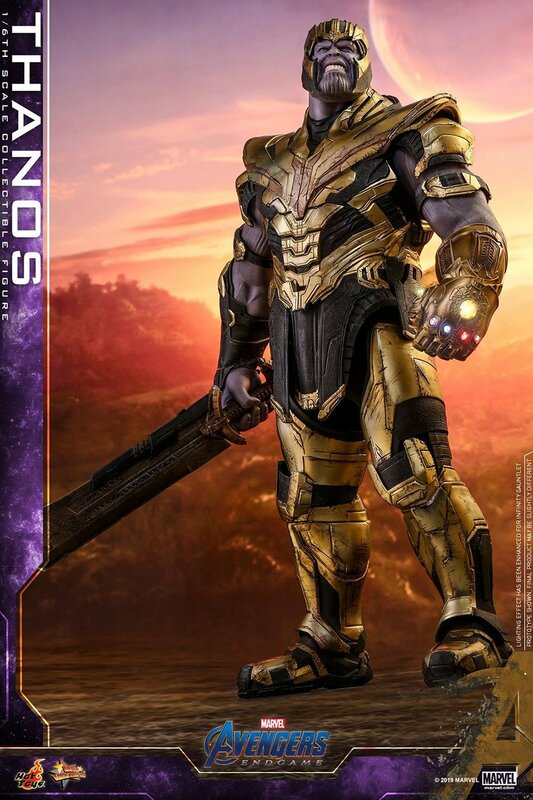 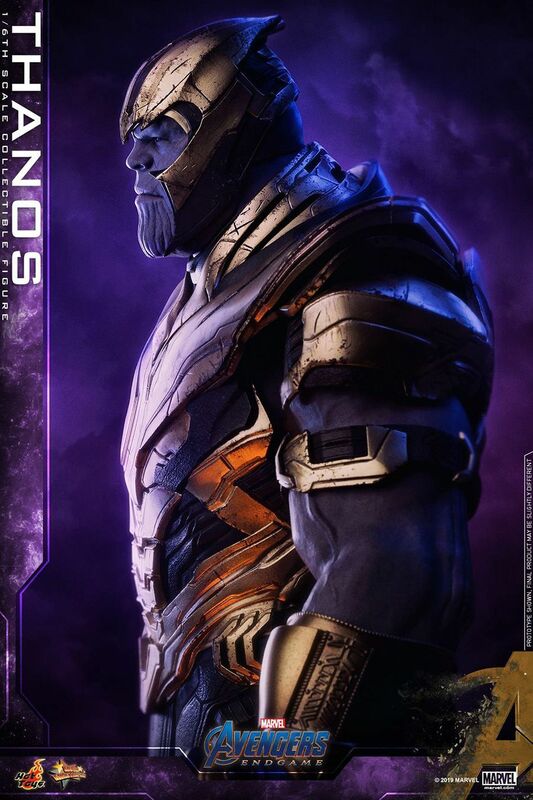 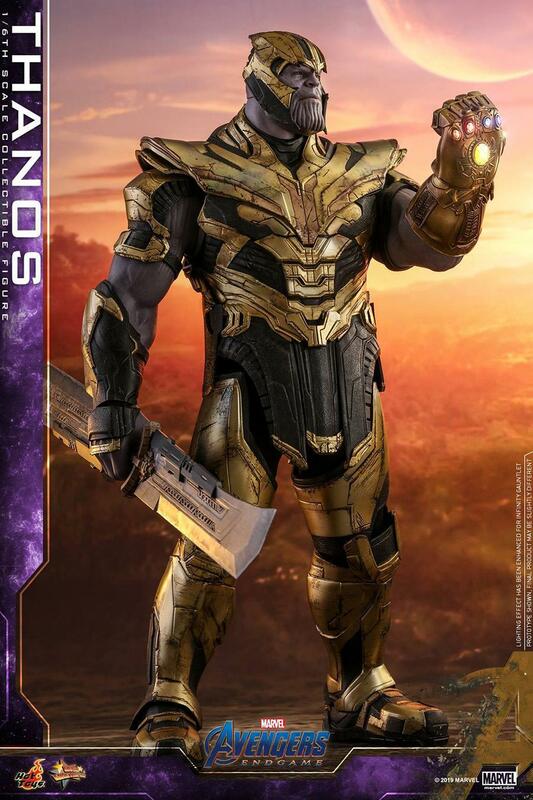 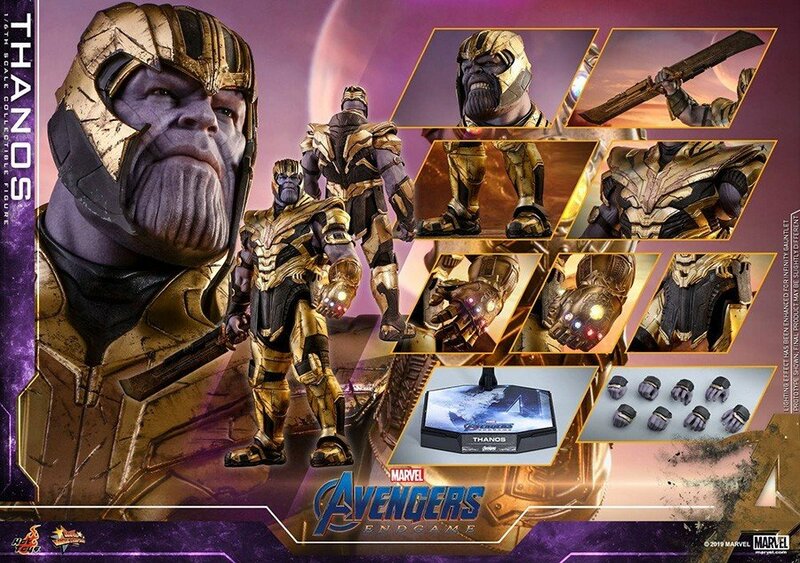 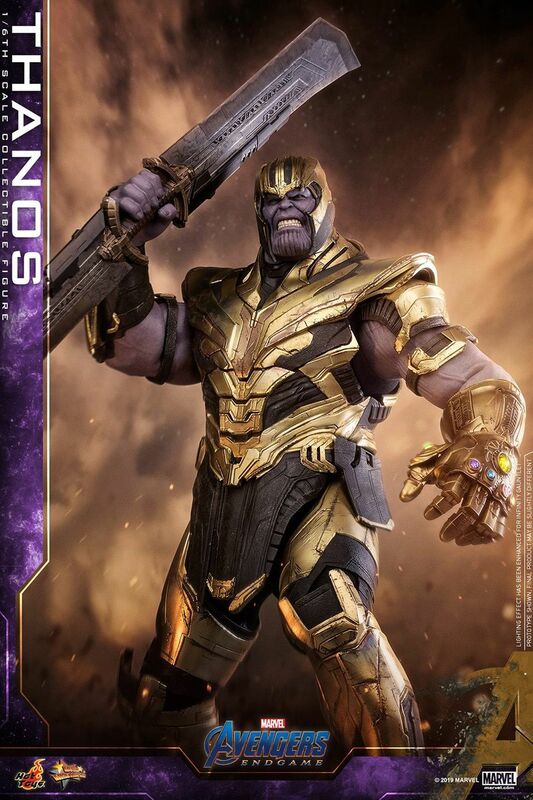 Seen in the gallery down below is Funko’s Thanos figure and while his heavily-armored appearance is sure to raise a few questions given that in Avengers: Infinity War, when facing all of the galaxy’s heroes, he went into battle with just a vest and won – so why would he need more amor now that there are fewer opponents? 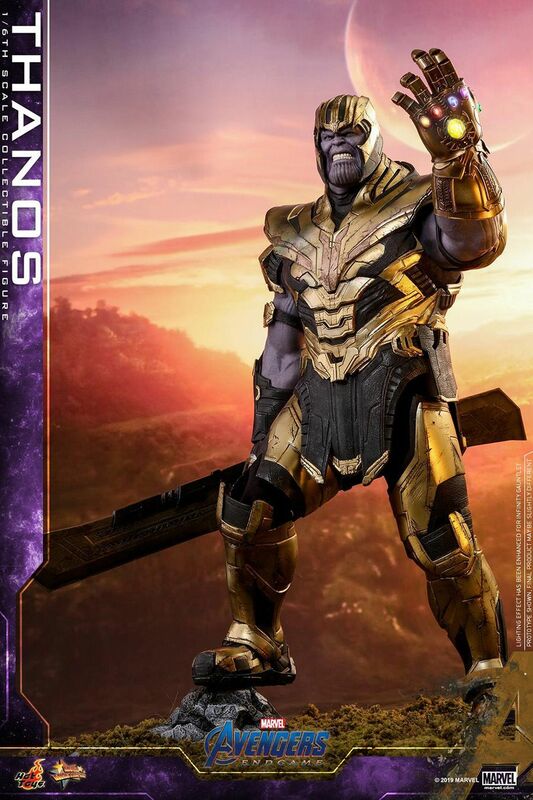 – it’s surely the two weapons he’s holding that will be inspiring the most discussion here. 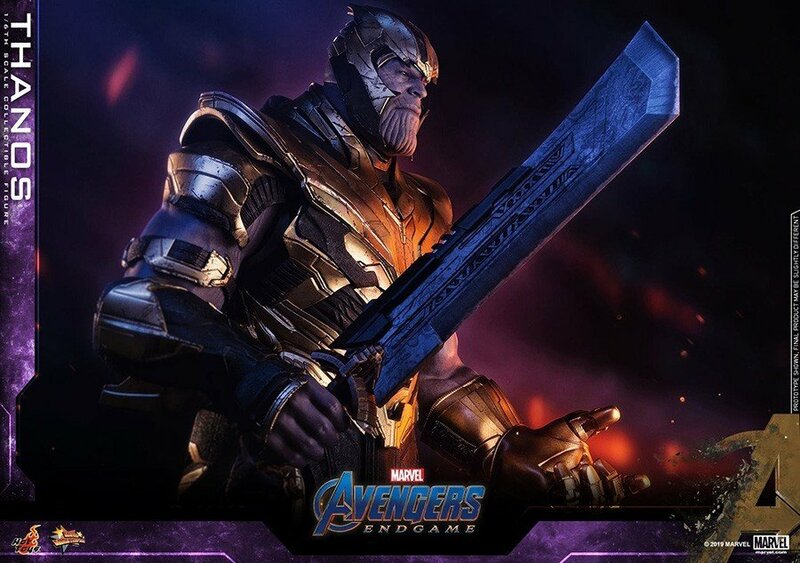 As you can see, he’s got in his hands that double-edged sword which has shown up a few times now in various leaks as well as the Hot Toys figure that debuted yesterday, but he’s also holding some sort of staff. 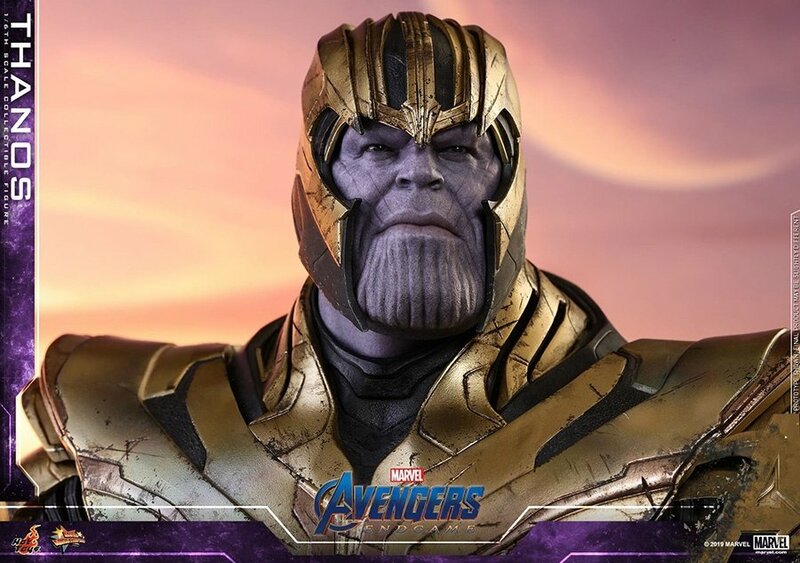 What it’ll be used for or where he gets it from is still unclear, but we’ve included photos of both the Funko and Hot Toys products in the gallery below for your viewing pleasure. 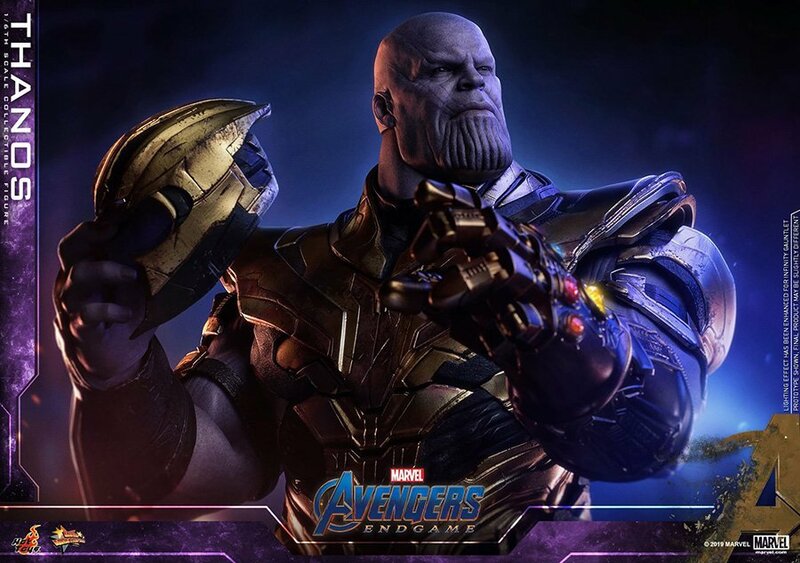 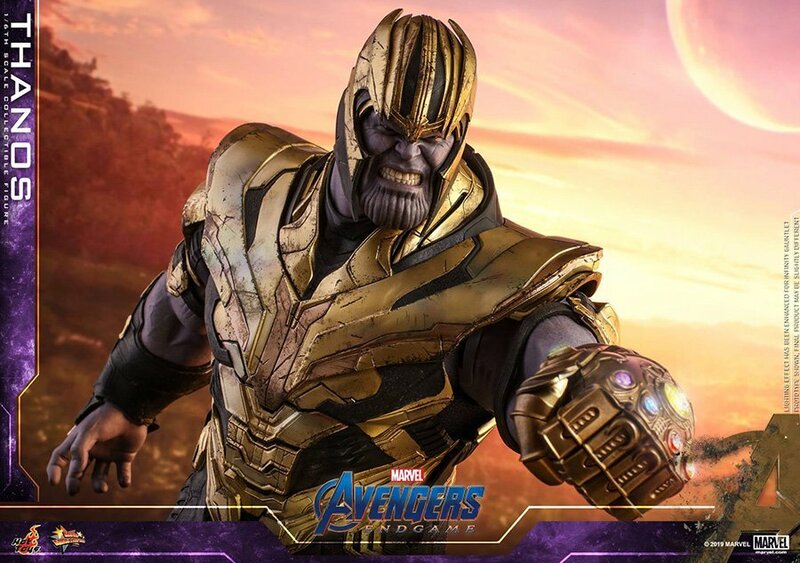 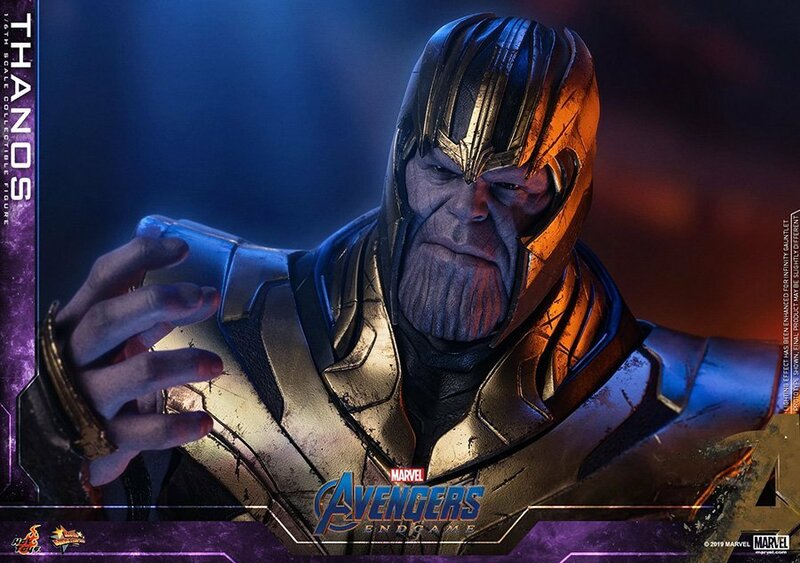 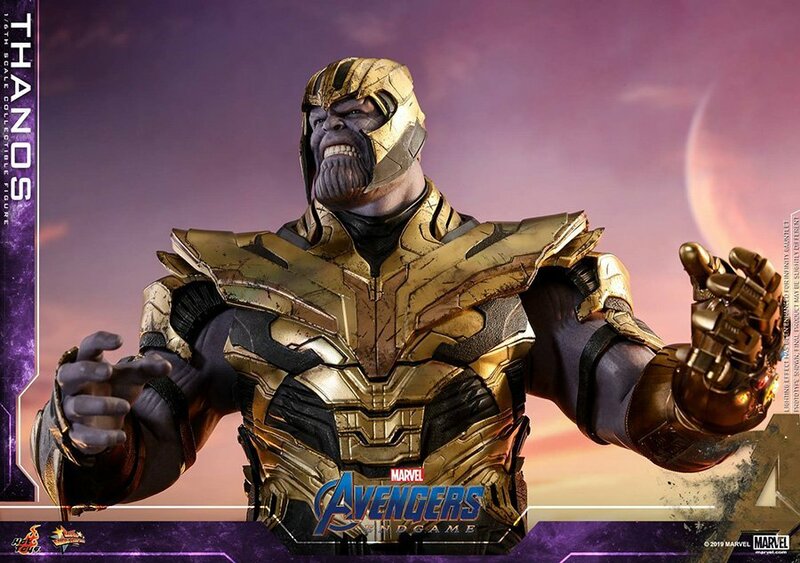 So, it seems as if the Mad Titan will be well equipped to take on the remaining heroes in Avengers: Endgame, but we’re still in the dark as to what role he’ll play in the story of next month’s release. 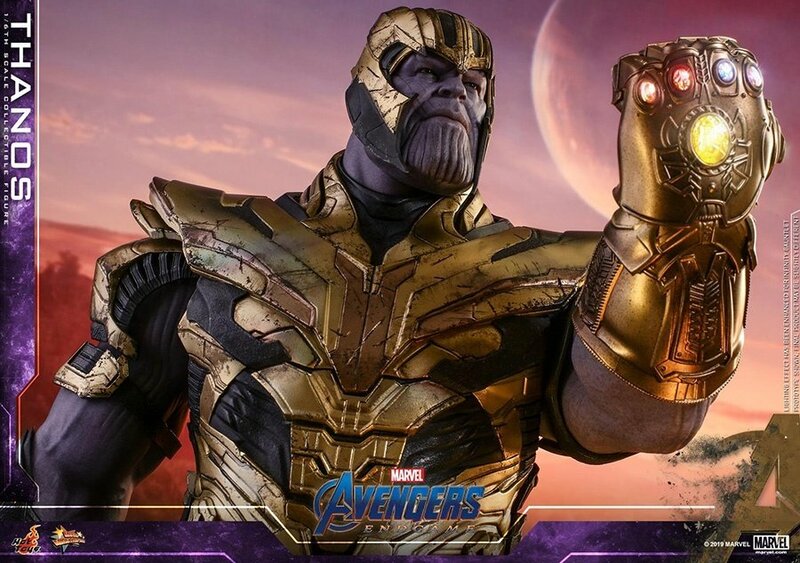 We’ve heard teases of an “even greater threat” surfacing, leading some to believe that Thanos won’t be the main villain, but that hasn’t been confirmed just yet. 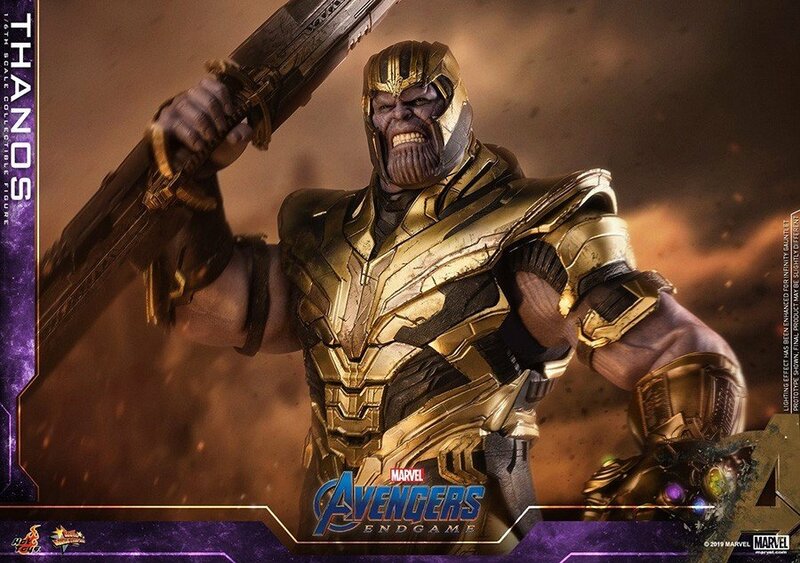 For the moment, we fully expect Josh Brolin’s character to be causing trouble for Earth’s Mightiest Heroes once more and we’ll see how he does with his new staff and double-edged sword when Avengers: Endgame hits theaters next month, on April 26th.